Environmental Rights Activist and Convener of Niger-Delta Self-Determination Movement, NDSDM, Ann Kio-Briggs, has warned the President Muhammadu Buhari’s government against granting amnesty to Boko Haram members with resources from the Niger Delta. 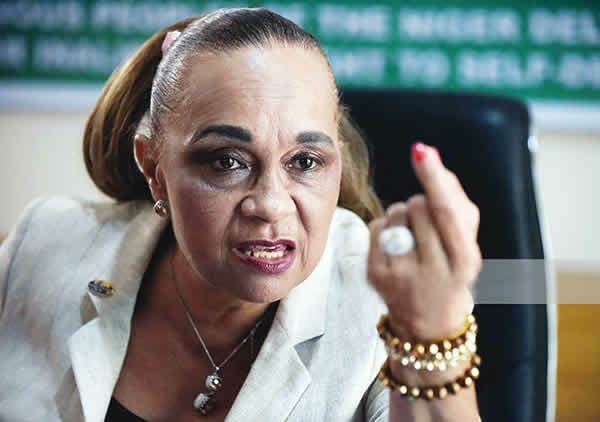 Opposing the plan, Kio-Briggs said amnesty for Boko Haram would amount to the government admitting that Nigerian government had failed and was incapable of saving Nigerians from terrorists and foreign invaders. She noted that the government had repeatedly described Boko Haram insurgents and killer herdsmen as foreigners. She wondered why the government would turn around to grant foreigners amnesty. Her words, ”Boko Haram has owned up to being a terrorist group. It has declared its support and affiliation to the ISIS, a renowned world terrorist organisation. “If the government wants to grant amnesty to a terrorist group, I think this country is finished. It means kidnappers, armed robbers and other criminals can be granted amnesty. “Government has told us repeatedly that Boko Haram are foreigners. By wanting to grant amnesty to Boko Haram, the government has admitted that Nigeria has failed and it has no capacity to protect Nigerians. We have killer herdsmen all over the place. “Foreigners have invaded Nigeria and the best the government can do is to grant them amnesty? That is why we in the Niger Delta want referendum.